Customize proven high-converting page templates that focus your visitors attention around you call-to action. Whether you’re building an email list or promoting your incredible product, Welcomat.io’s intuitive interface and powerful customization will help you capture your visitors attention. Completely customizable templates. Make it your own! 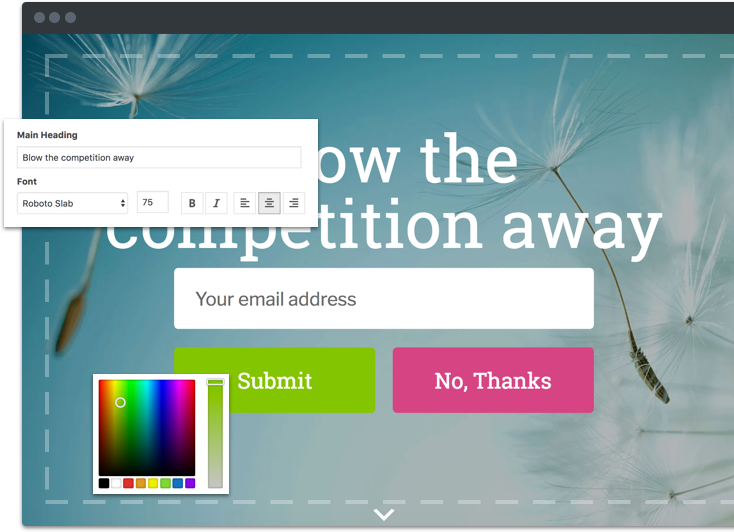 Our customizable templates allow you to take full control of what your visitors see. Choose from over 19+ conversion tested templates, adjust the text, colors, images, and start converting in seconds. Our Welcome Mat integrates with popular email marketing tools to seamlessly load captured emails into Mailchimp, Aweber, Campaign Monitor, ConvertKit or Drip. Simply connect your email marketing account and we’ll make sure those valuable sign-up and subscription email addresses get added to your list. 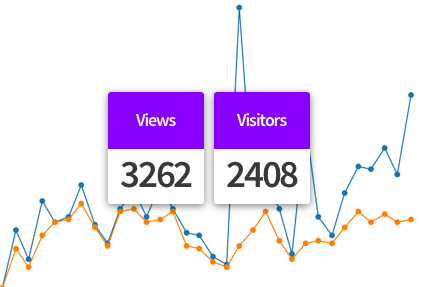 Improve your welcome mat performance with our real-time performance statistics. Compare welcome mat layout performance and improve your conversion rate. Integrate with Google Analytics for deeper statistical data.